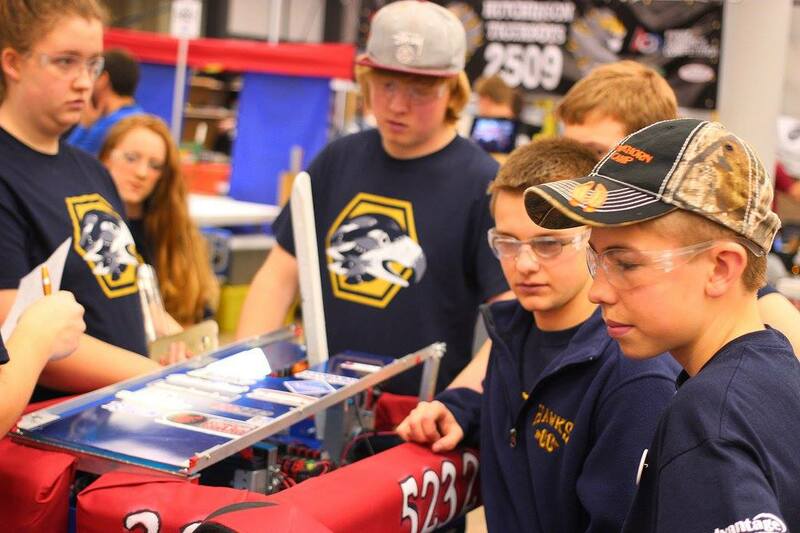 The Hermantown Talons 5232 are a FIRST Robotics (FRC) team from Hermantown, Minnesota. The Talons were a rookie team in 2014 and has since taken great steps every year of existence culminating in winning the 2016 Northern Lights Regional and competing at the World Championships in St. Louis, MO on Hopper. Finishing up our season at the MSHSL State Tournament in Minneapolis in May 2016. FIRST DESTINATION: DEEP SPACESM invites two adventure clubs from an era in which technology relied on steam power to prepare their airships for the ultimate long distance race. Each three-team alliance scores points and prepares to take flight by building steam pressure, gathering materials to start the rotors, and boarding robots onto their airships. The adventurer club with the highest score at the end of the match is the best prepared for the race and wins. 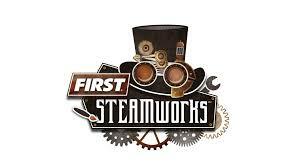 We call FIRST Robotics Competition the ultimate Sport for the Mind. High-school student participants call it “the hardest fun you’ll ever have.” Under strict rules, limited resources, and an intense six-week time limit, teams of students are challenged to raise funds, design a team “brand,” hone teamwork skills, and build and program industrial-size robots to play a difficult field game against like-minded competitors. One of two FRC regionals held at the Duluth Entertainment and Convention Center (DECC) in Duluth, Minnesota in what is called the “Double DECCer”. Sixty plus teams compete and utilize Gracious Professionalism to punch their ticket to the World Championships in St. Louis, MO. One of two locations for the regional winners of the FRC competitions. Held in St. Louis, MO and Houston, TX. Teams from all over the world compete for the chance to compete on the final field, Einstein, to become champions. The Minnesota State HIgh School League recognizes FIRST Robotics as a high school sport. In it’s 4th year, the Talons competed with 29 other top teams from the state to crown a state champion. © Hermantown Talons 5232 and FIRST Robotics.